We spent a couple of nights in the coastal town of Swakopmund, and did a Living Desert tour one morning. The tour is highly recommended, partly because of the desert and wildlife, and partly because Chris, the tour leader, does such a great job. As part of the tour we saw this little guy – a gecko (Pachydactylus Rangei). They are quite unique as they have webbed feet to allow them to move through the sand better. They are nocturnal animals, so during the day they bury themselves in the sand dunes to hide from predators. 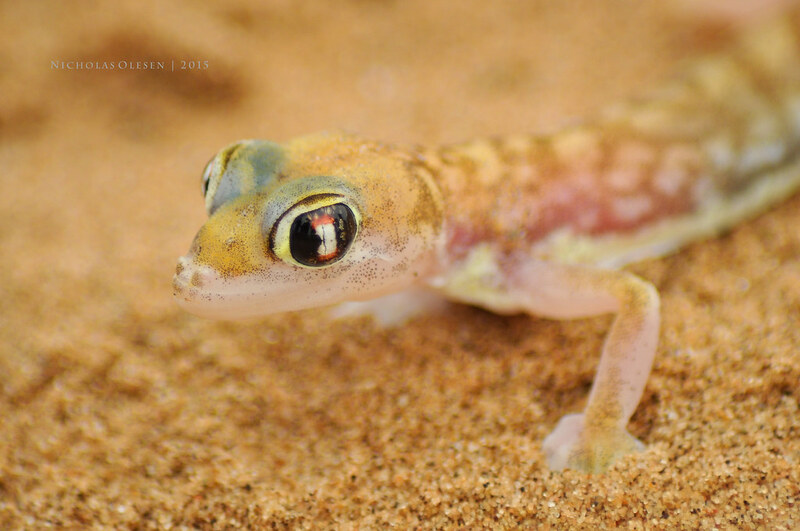 They are also able to lick their eyes to clean them in case any sand gets stuck to them, since geckos do not have eyelids. Oh, and apparently this is a female – the males are supposed to be more colorful!